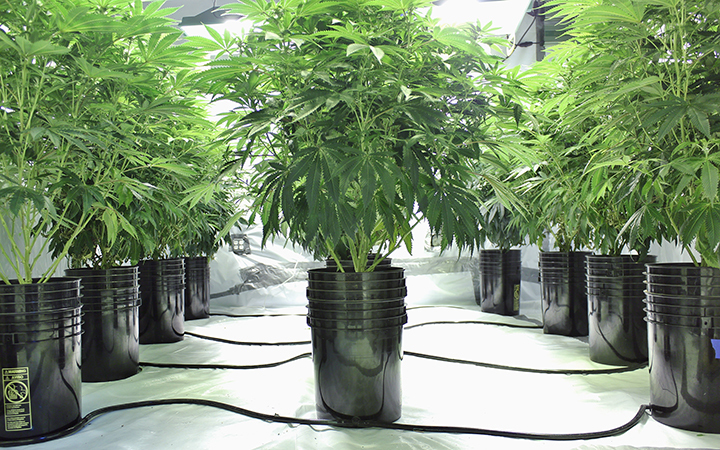 Simple hydroponic irrigation system for growing Marijuana. What it didn’t have, however, was a cannabis plant. The four-day expo, which opened in South Africa’s capital Pretoria on Thursday, was a stark illustration of the legal grey area the nascent industry occupies in the continent’s most developed economy. In September, the Constitutional Court decriminalized the use and cultivation of cannabis in private space. But the decision did not legalize its trade or distribution. Even displaying cannabis in public remains legally dubious. 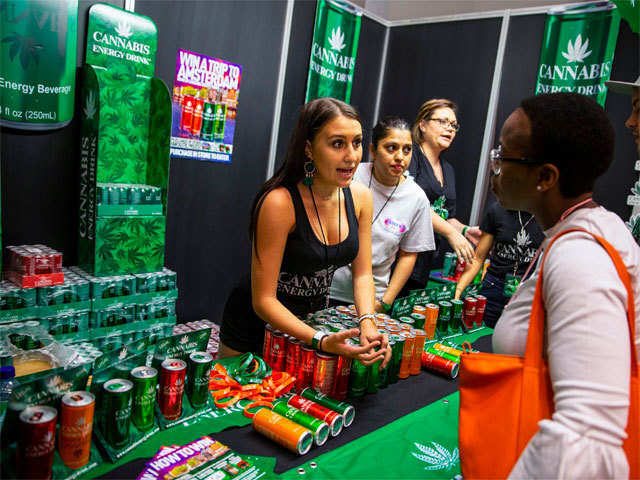 A Cannabis Energy Drink exhibitor gives information about the cannabis energy drinks to visitors during the Cannabis Expo in Pretoria. Cannabis activist Steven Thapelo Khundu handed out cannabis buds from a plastic bag at the expo entrance, encouraging attendees to bring them inside. “Free Ganja Free! Free Ganja Free!” he shouted as security forcibly removed him. 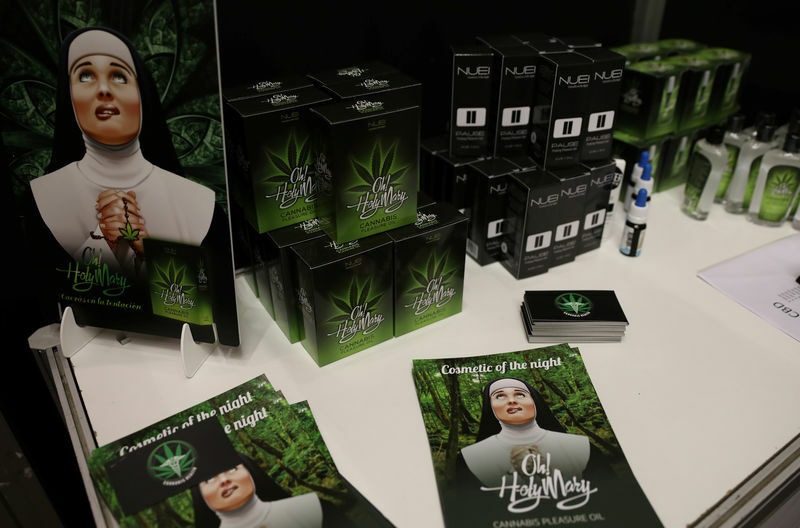 “I don’t think most people realize just how big the cannabis industry is in Africa already, in South Africa already,” said the Cannabis Expo’s co-founder Silas Howarth. International companies are, for now at least, seeking licenses to produce cannabis for export. But Gerhard Naude, the founder of healthcare company Go Life International, believes a fully legal domestic industry is now only a matter of time. “I think there will be a few licenses awarded, and very closely regulated. I think in two years we’ll definitely have a license, for the use of medicinal cannabis in any case,” he said. 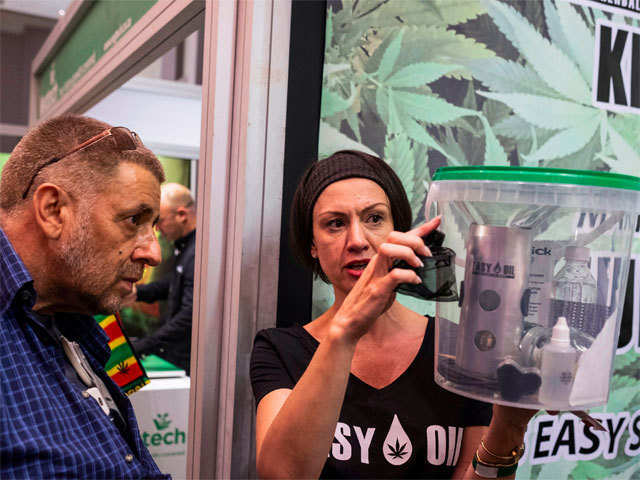 An Easy Oil exhibitor (R) explains to a visitor how the Easy Oil kit, that allows you to make its own cannabis oil, works at the Cannabis Expo in Pretoria, South Africa.